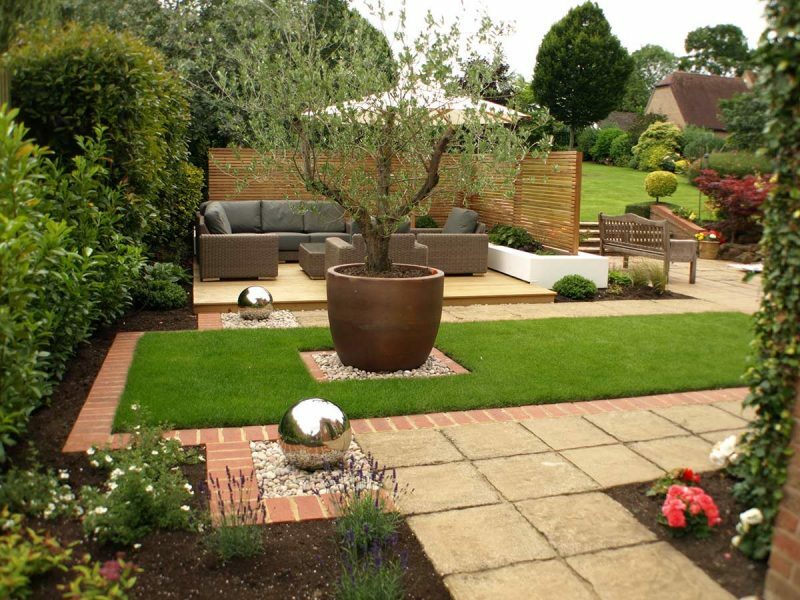 Our client had built this wonderful home with a large mature garden that was established when the house was completed. 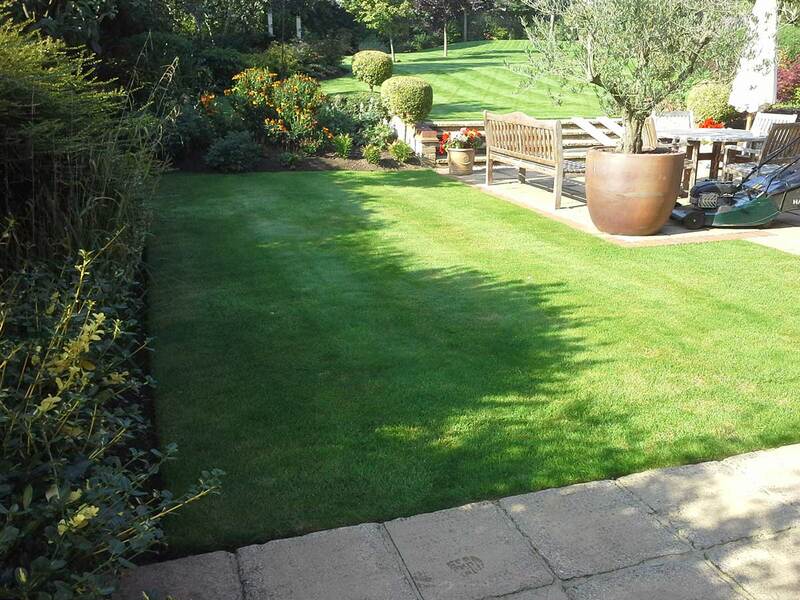 However, due to the prevailing wind blowing down over the lawn, they rarely felt they could comfortably sit out even when the sun was shinning. 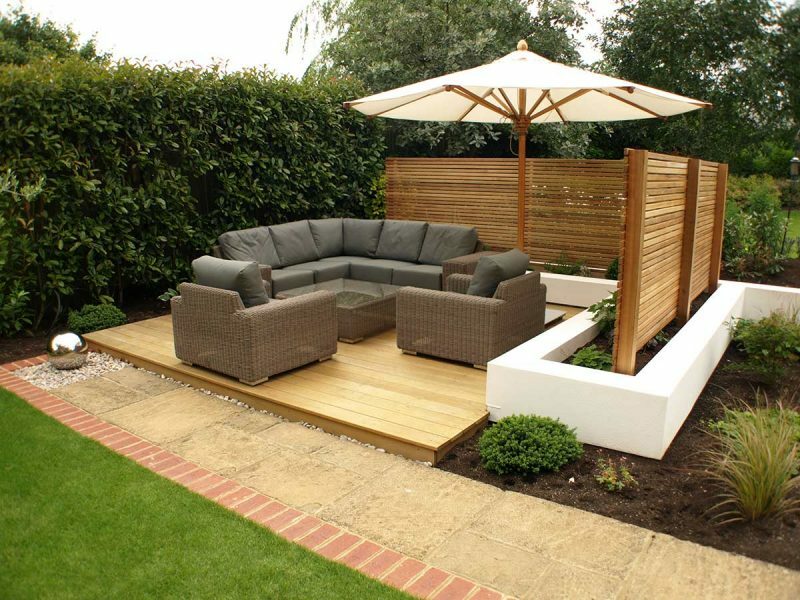 The criteria for the project was to create a comfortable, sheltered seating area near to the house. 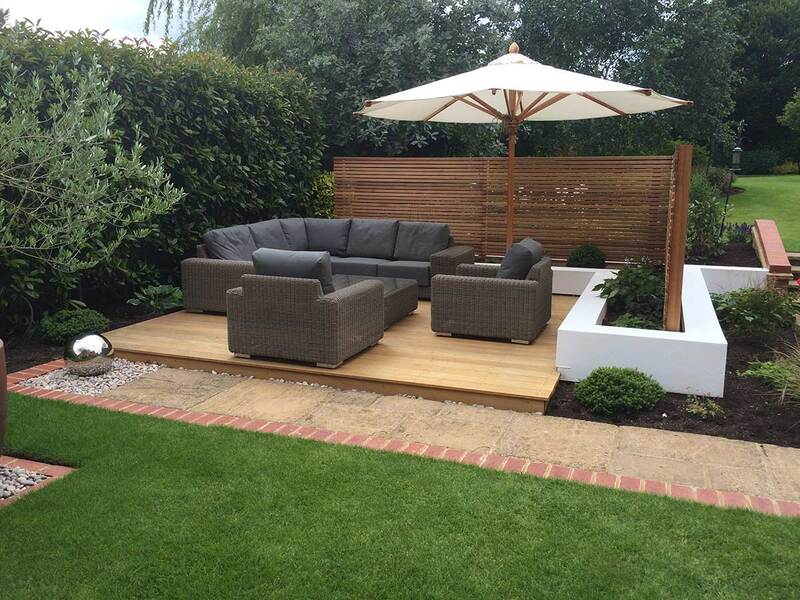 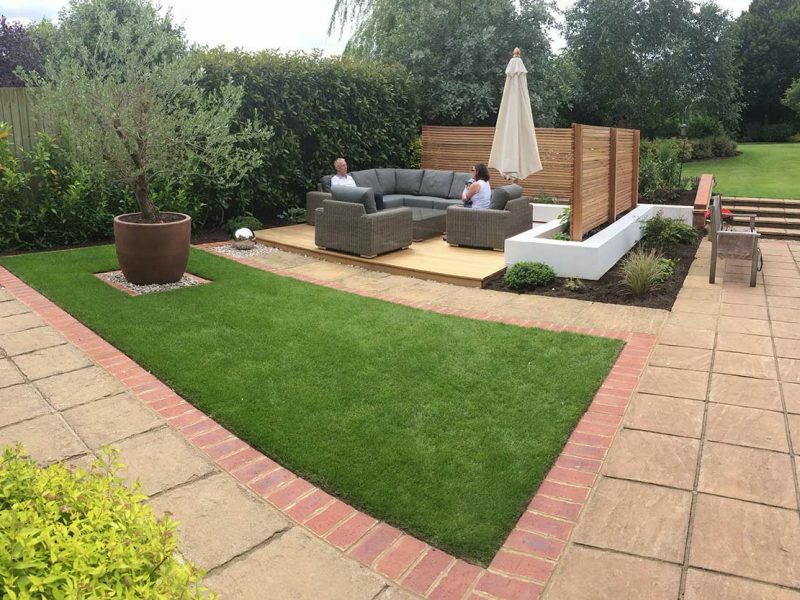 The client was after a modern vibe to suit the style of their home so we included rendered walls and cedar decking to create the structure for the area. 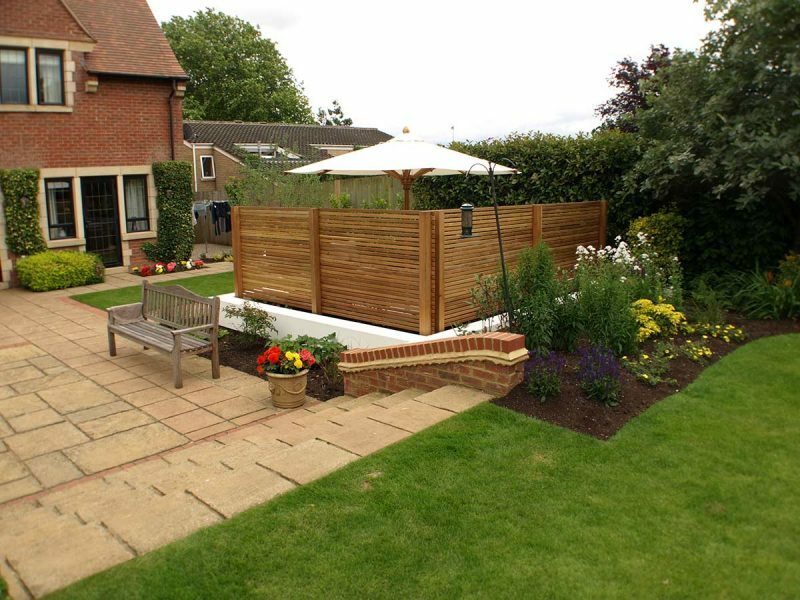 The cedar screen with tall, dense planting behind it provides the perfect wind break, allowing them to enjoy the garden in comfort.